Those first few weeks after your child is born are life changing. It's as if your whole world has opened up and you've discovered that life wasn't as bright or colorful before your baby entered the world. I want to capture what you're feeling. I want you to remember each precious moment as you welcome your baby to the world. Those are moments so precious that you can't even describe them with words. People say that a picture is worth a thousand words, but when the photos are of your brand new addition to the family, they are worth far more. In addition to photographs of the family together, my newborn sessions also include a series of photographs taken of just your baby. For example, details like their little feet, beautiful tiny hands, that button nose and tuft of fluffy hair. In addition to the details, I'll also photograph your newborn resting peacefully. Perhaps in a cozy, comfortable nook or on top of the blanket he'll/she’ll sleep with for years to come. My camera knows no bounds. Deciding what type of style you want will ensure that you get the newborn pictures that you want. There are two main styles that I focus on. Lifestyle: The easiest way to describe lifestyle newborn photos is by calling it “a day in the life”. It is a very casual and candid approach to your newborn portraits. I arrive at your home with my camera and capture the tiny moments that happen in your new life with your baby. Think of snuggling in the couch with your baby or even giving your baby a bath. I will be there to capture the beauty of this new journey. Posed: The posed sessions take place in my home studio in Walnut Creek and have a clean studio feel. Your baby will be safely posed in my posing bag and we will go through a beautiful set of poses to create timeless images. 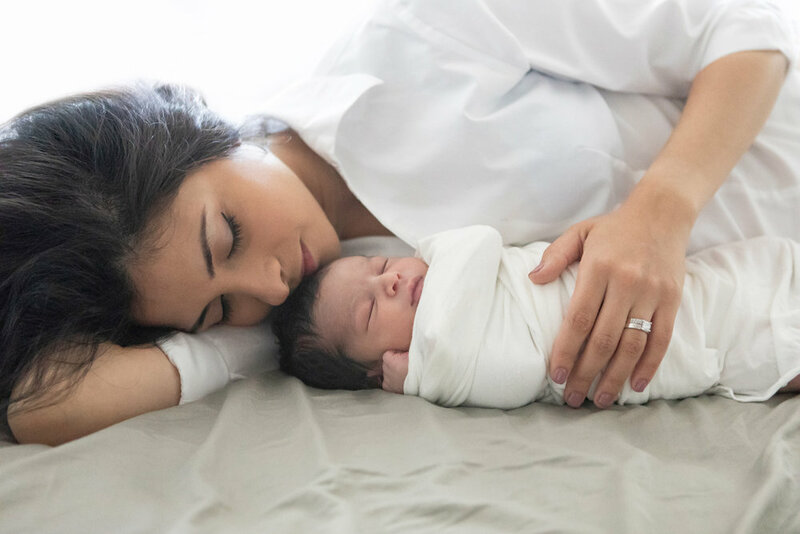 We will also include images of the whole family together that will focus on the connection and love between baby and you. Where is your studio? Can you come to our home? I know you're going to be exhausted. One of the best parts about a newborn photo session with me is the fact that you can choose to have the session in my home studio in Walnut Creek or I can go to you! No matter what you choose, I will guide you through every step so you can enjoy this beautiful moment. If you choose to have the session in your home, it will be a “lifestyle” session. If you choose to have the session in my home studio, it will be a “posed” session. The emphasis is on your newborn, but I also encourage you to exist in photos for your baby. These images will be priceless to your baby. When should I schedule the newborn session? The earlier the better! It is best to schedule the session around your 6th month of pregnancy to secure the session date and plan everything so we are ready when baby arrives. The best time for newborn photos is between 4 and 14 days of being born. This time frame allows me to capture that “curly” look. While beautiful images can be captured at any stage newborn photos should be captured before 6 weeks. Keep in mind that once beyond those first 14 days I will not be able to get the sleepy, curled poses. 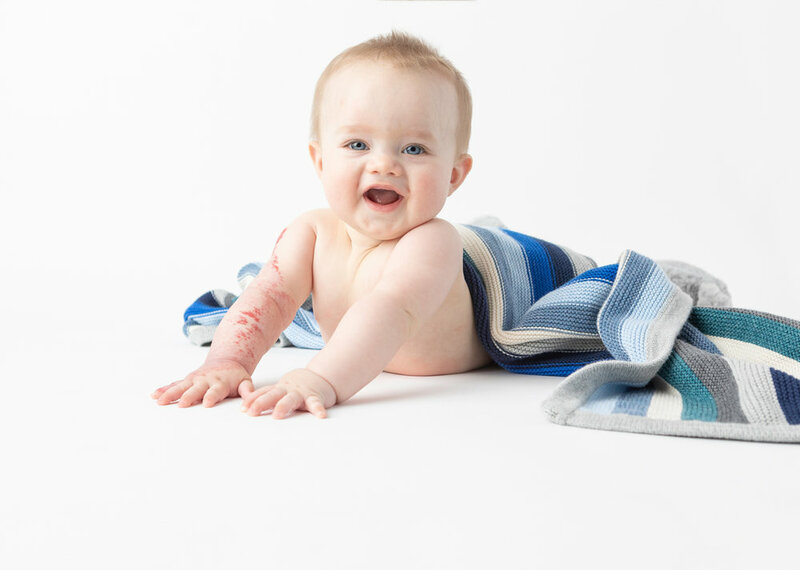 The first year flies by fast which is why after the newborn stage, I recommend doing the baby plan to document their growth and have the full experience of your baby’s first year. Contact me so we can talk about all the packages available to capture the journey. My baby photography style can be described as simple, timeless and genuine. I love to keep newborn photos simple, without overpowering them with props. I want your images to resemble your true selves. Raw connection, emotion, and being in the moment is what drives me to capture images that will become part of your family legacy. I believe in the power of prints and with me you get the best of both worlds. I offer a beautiful image box that includes up to 20 matted images plus the digital files for safekeeping and social media sharing. I also offer wall art that will make your photos beautiful artwork for your home that features your family. All newborn sessions are tailored specifically to you and your baby and include a consultation session. We will discuss ideas on style, colors, and wardrobe. I will work closely with you and learn from your ideas and expectations to make sure that you will have a newborn photo session that you will love. Once your session is booked, I will send you a Newborn Guide with plenty of tips on how to prepare for your baby’s first photo session. Have more questions? Ready to book? Contact me so we can get started! Moraga, Danville, Blackhawk, Alamo, Rossmoor, and beyond.